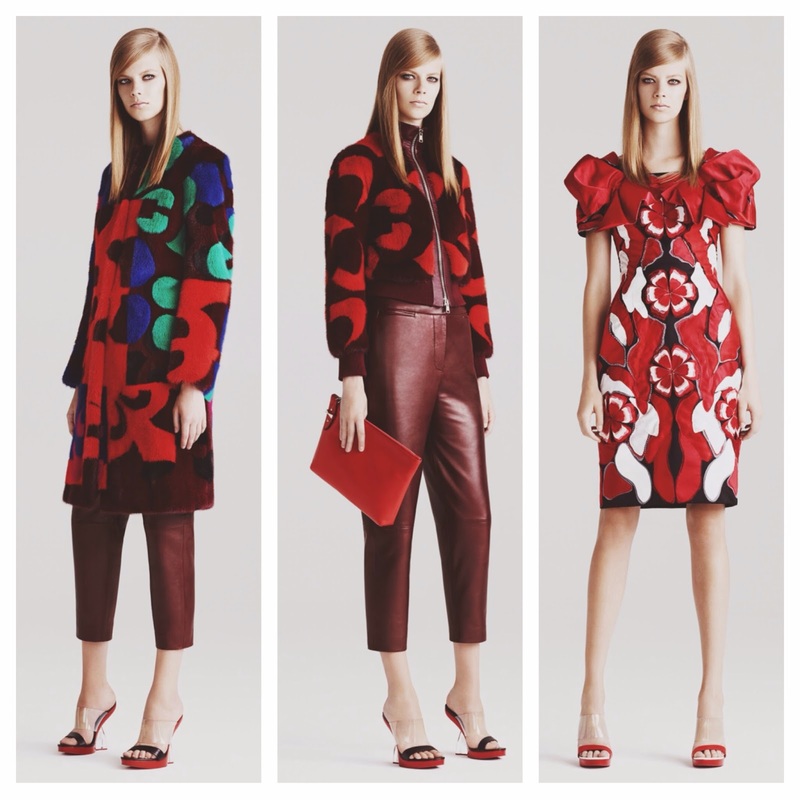 This Alexander McQueen Resort 2015 collection is one of my favourite Resort 15 Collections. The reason being is that I would wear every single piece. I am obsessed with it. I love how the collection has a range of colours incorporated into it. I love the leather dresses to the tailored pieces - all very sophisticated and beautiful. Another feature I love is the detaining. On the last blue and pink floor length-dresses, the detailing is absolutely exquisite and the colours are gorgeous. I also love the simplicity of some of the looks. A colour block dress is sometimes all you need for a killer look - and Alexander McQueen convey this exceptionally well. I can tell that colour-blocking is going to be exceptionally big next year - I hope so anyway! To the other end of the spectrum, I am also a huge fan of bold prints - and I love the prints that are featured in this collection. For some reason I particularly love the prints on the burgundy coat - I love pieces like that. I am also a huge fan of suits, as they look so smart and you can really adjust them to your own personal style or a particular trend. The black and white checked suits with the hint of royal blue is stunning. I am very excited to see Alexander McQueens AW15 collection!